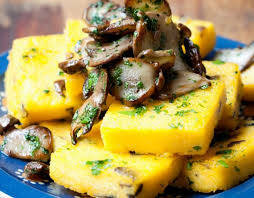 "Polenta can be served as a side dish or in place of bread. It can also be served as a main course, in which case it is dressed with thick sauces, game, sausage, milk and cod sh, or fried and sliced, or rolled into gnocchi." Polenta is a foodstuff with rustic origins. It is made by mixing cornmeal (which explains why polenta is often called yellow flour) with water and salt in a large pot called a paiolo in Italian or on a cutting board where, if it is sufficiently consistent, it is cut into slices. Polenta as we know it dates all the way back to the age of Columbus, when the European explorer returned from America bearing corn, or maize, today widely used for purposes other than nutrition. Prior to that, the plant was unknown in Europe. 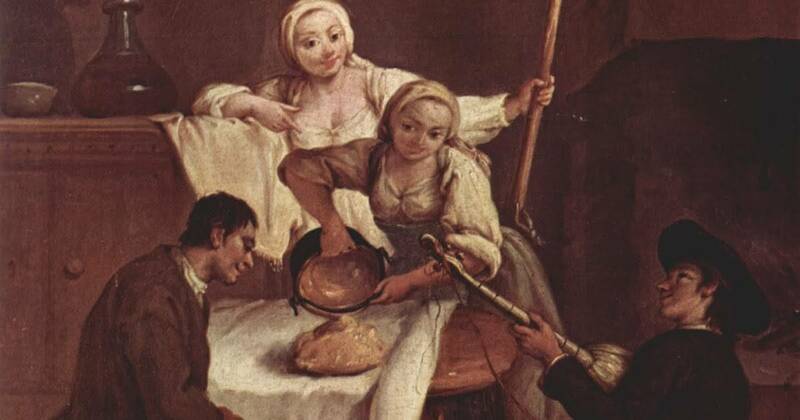 Columbus informed Europeans that the Native Americans made the dish by adding water to cornmeal and serving it with various sauces, cheeses and fresh meat. Over time Europeans discovered that the plant was easy to grow, especially in Southern Italy. Furthermore, cultivating it was cheap. That explains why it was consumed by the lowest classes, i.e., by farmers and peasants. 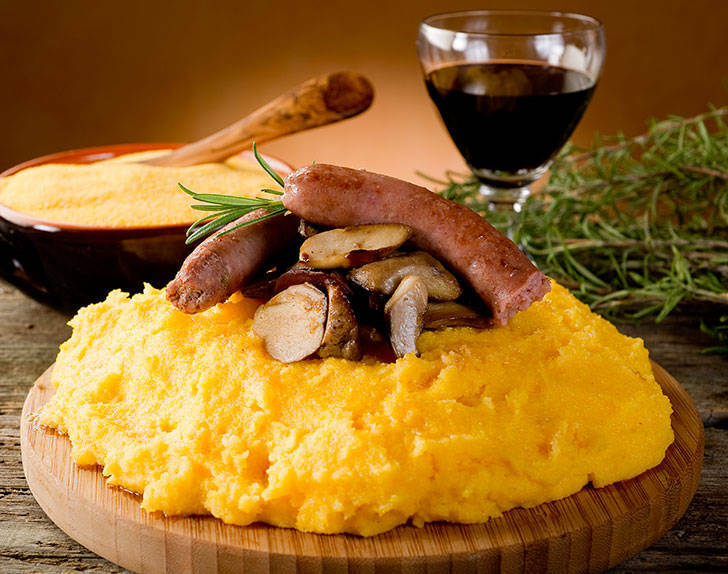 Polenta can be found throughout Lombardy, Veneto and Friuli, where it is served as a side dish or in place of bread. It can also be served as a main course, in which case it is dressed with thick sauces, game, sausage, milk and codfish, or fried and sliced, or rolled into gnocchi. Polenta shouldn’t be seen as deadly for dieting: you can eat your fill without consuming too many calories. The real problem is that it is often served with heavy sauces and condiments. BRAMATA is the classic rustic corn flour. It is hard and coarsely ground. Ideal for polenta. You can tell Bramata apart simply by running your fingers over it. It is the most common type of polenta. Its characteristic yellow color comes from carotenoids. FIORETTO, though finer than Bramata, is also used for making polenta. It is smoother and less coarse than the latter, and therefore better suited for making side dishes. FUMETTO is the finest confectionary corn flour produced with innovative milling machinery. Because it is easy to knead, it is used to make pasta, cake, cookies and other traditional products. 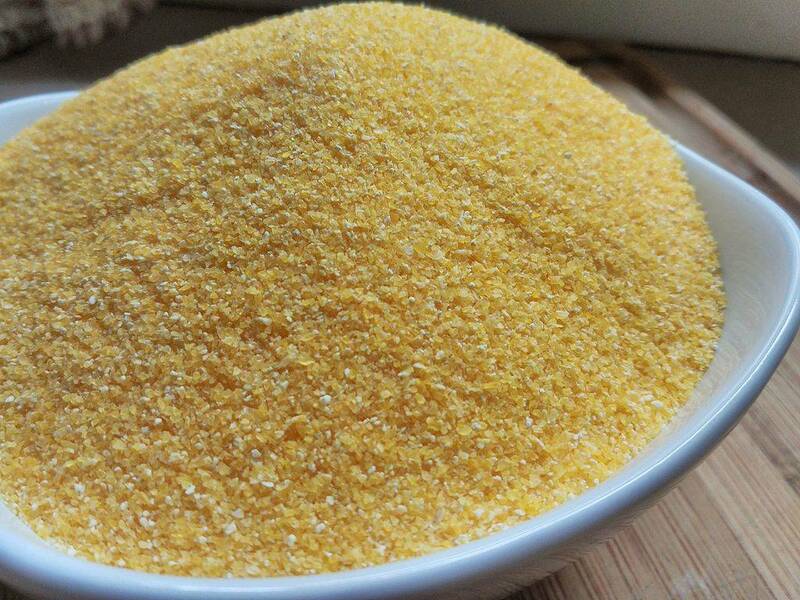 INTEGRALE is cornmeal that has not been sifted but simply underwent an initial milling. Integrale contains all of the outer parts of the grain, i.e., the bran.